Laney Student Ambassadors set up shop in front of the Welcome Center on Monday morning as students began their first day of classes for the Spring 2017 semester. The student ambassador program is coordinated by Charles Bradford, staff assistant at the Welcome Center. There are approximately 12 ambassadors that help answer student questions and make their classmates feel welcomed to the campus. If you know of any students that may be interested in becoming student ambassadors, please let us know. 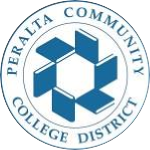 Send an email to pio@peralta.edu or call 510-986-6922. Pictured from left: Gina Wu (Business Administration student), Sandy Wong (Banking student), and Charles Bradford (Laney staff).